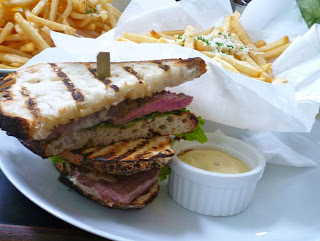 My friends and I decided to have lunch at PS Cafe today at Harding Road in Dempsey Hill. The ambience is just lovely. There are both al fresco and indoor dining options with a good view of the garden surrounding the place. Since it was a public holiday, we had to queue up for quite a long time. 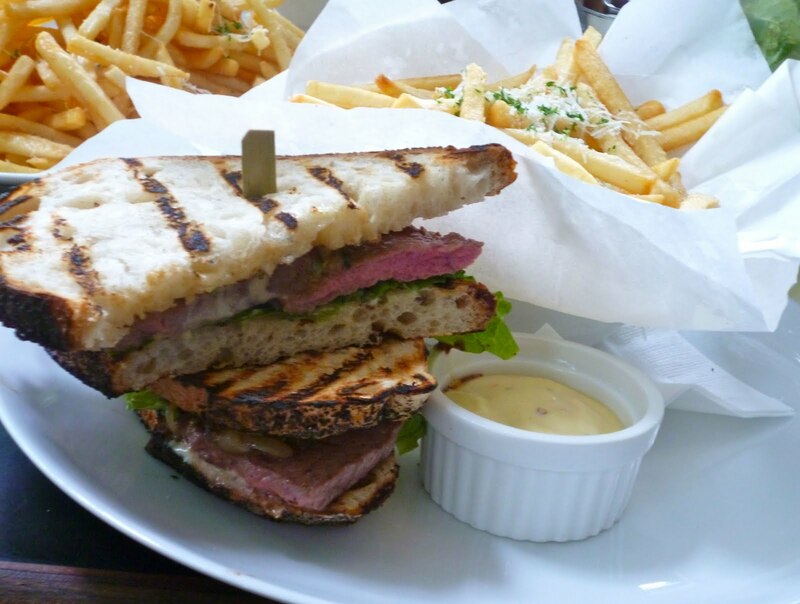 One of our friends recommended I try the PS Steak Sandwich (SGD 29.00). I shared this with my husband as the serving is quite generous. 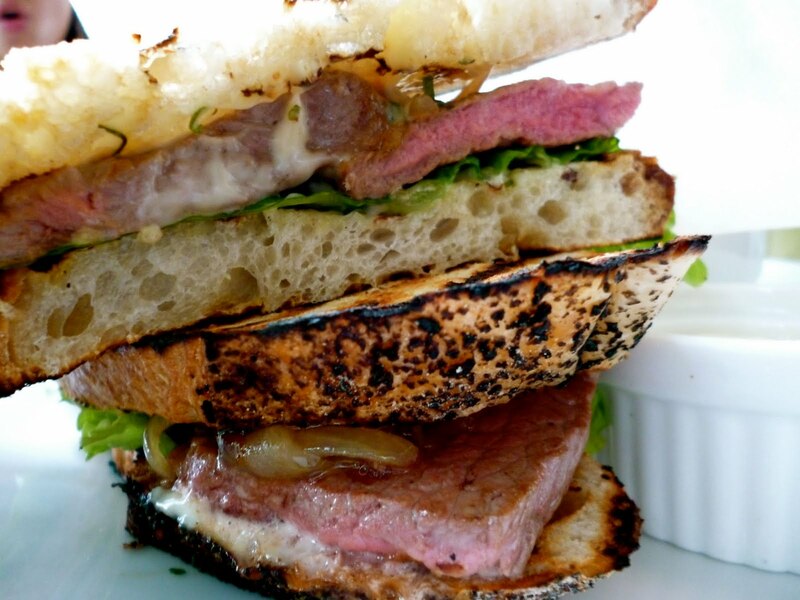 I really liked this sandwich. The steak was soft and juicy, and the dressing used went very well with the meat. I also like that the sandwich is thin enough to be eaten properly by hand (it's sort of a weird criteria I have for sandwiches and burgers). 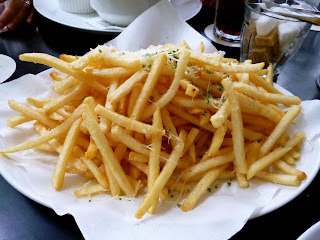 On the side, we ordered Truffle Shoestring Fries (SGD 15.00) to share. They basically drizzled the fries with truffle oil and parmesan cheese. Very savory indeed. 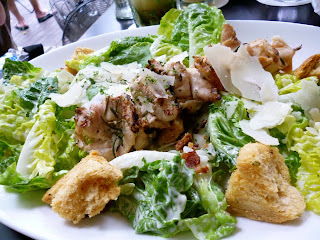 My husband and I also shared the PS Caesar with Rosemary Honey Dijon Chicken (SGD 24.00). I realized my photo below does not show it, but this was served with a poached egg in the middle. This was a pretty good caesar salad, though I thought the chicken was just a tiny bit overcooked. The gigantic croutons and the shaved parmesan were very enjoyable though. 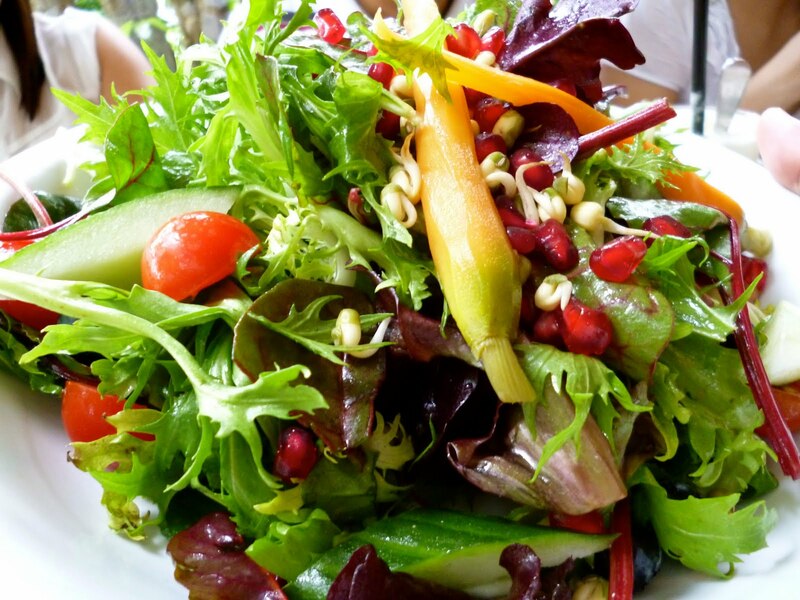 My friend ordered the PS Greenhouse Salad (SGD 19.00). I know that a garden salad is a garden salad, but I couldn't help but take a photo due to the really eye-catching colors all the vegetables had. Definitely looked very pretty. For drinks I had the Crushed Mint and Lime Soda (SGD 9.50). I hardly ever remember drinks that I order in restaurants and also never felt the need to blog about them, but this drink is really refreshing. 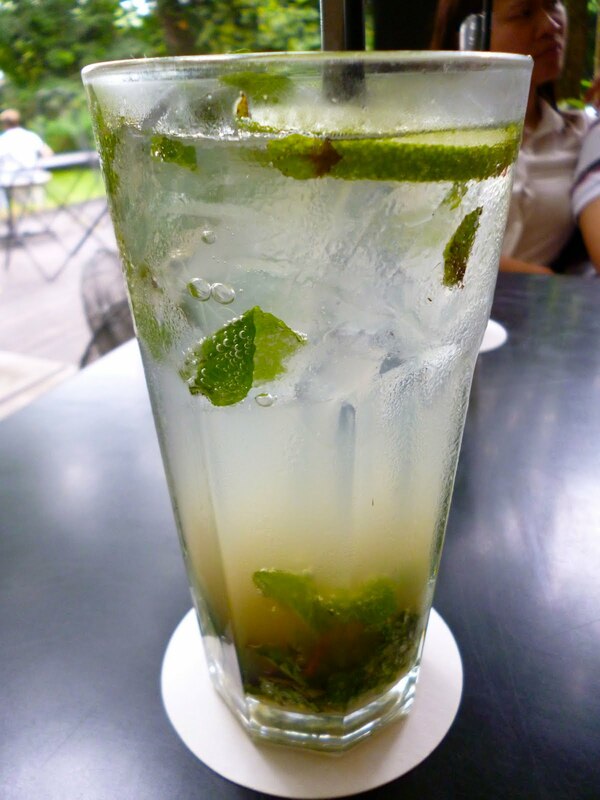 I really enjoyed the lemon-mint mix, which was perfect as an afternoon thirst quencher. 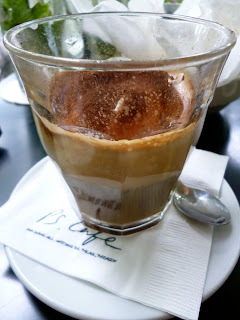 For dessert I ordered the Affogato (forgot to take down the price!). This is a double shot of espresso served with a scoop of vanilla ice cream. It's like a classier and more refined version of a mocha frappuccino. I absolutely loved this dessert. If not for the overdose of caffeine, I probably would have ordered one more. I will definitely be back! My staples would be the Steak Sandwich for mains, the Afogato for dessert, and the Crushed Mint & Lime Soda for drinks. The ambience was also very inviting that I have a feeling I will be frequenting this branch of PS. Cafe for brunch dates with my husband.